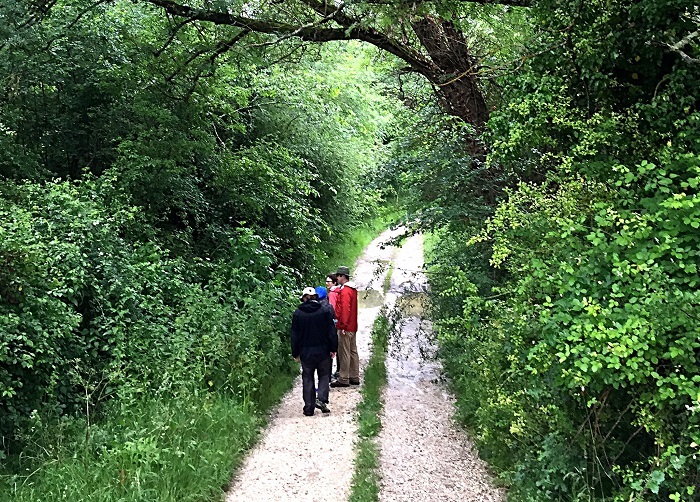 A holiday walking and enjoying great wine, fabulous food and conversation along the way. 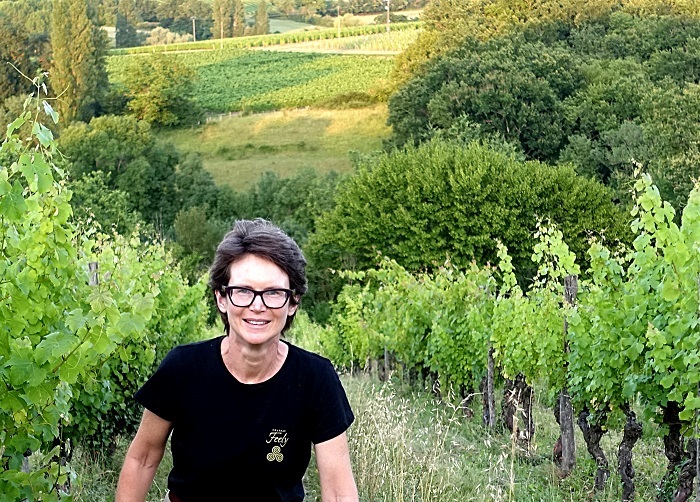 You will explore extraordinary scenery through appellations renowned for high quality, effortlessly discovering winegrowing, winemaking and winetasting from your guide, Caro Feely, a winegrower, winemaker and fluent french speaker. At the vineyards and wine estates we visit you will be welcomed as friends. 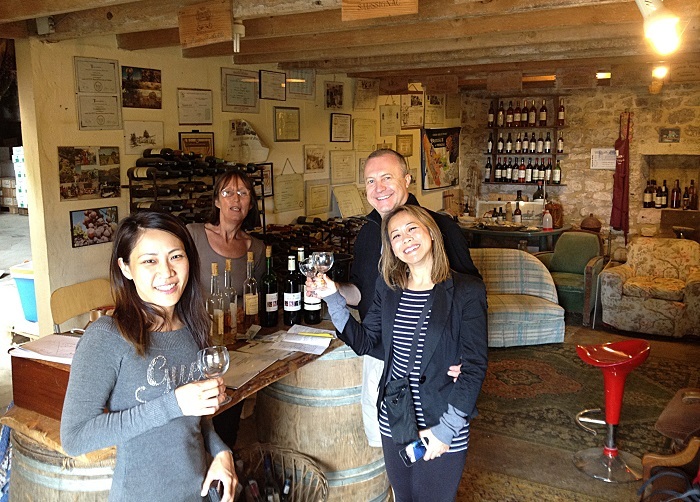 French Wine Adventures’ tours are available all year round and can be booked at anytime depending on availability. 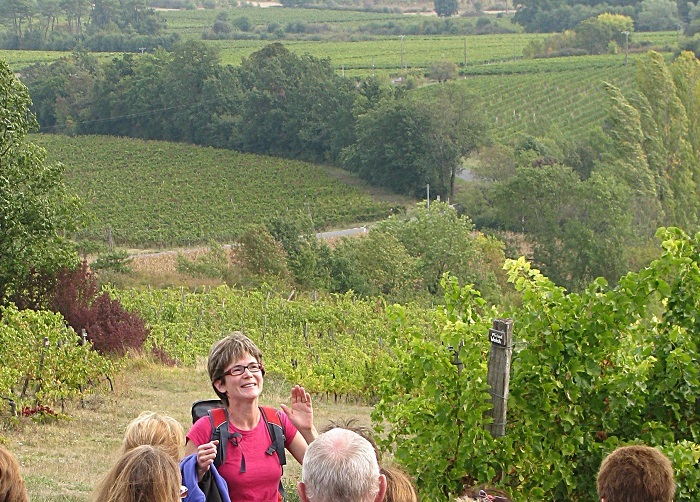 Walk the vineyards of Saussignac and Bergerac and enjoy the vibrant welcome of the winemakers. 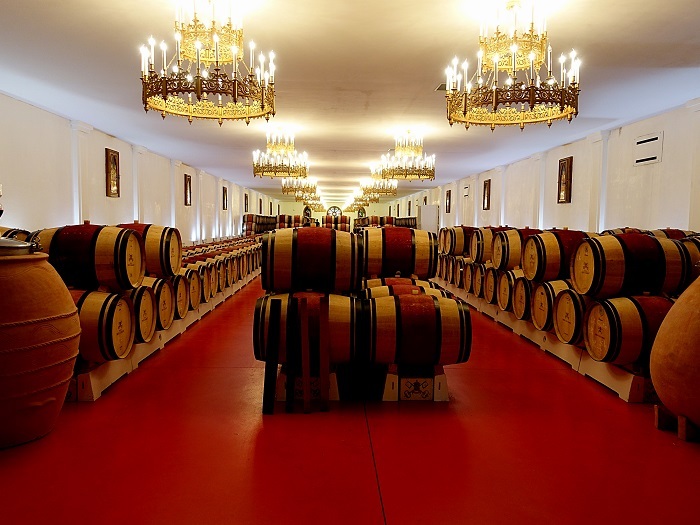 During this luxury wine break you will stay at Chateau Feely The Wine Lodge or at a nearby guest house. This tour is fully guided. Day 1: Arrive late afternoon/ evening to welcome drinks then enjoy a delicious meal at a local restaurant ten minutes walk away. 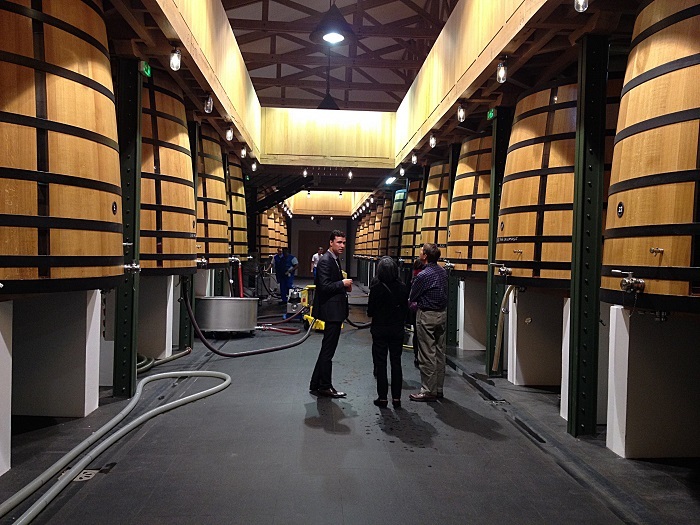 Day 2: After breakfast we take a tour of Chateau Feely’s vineyards with a two. kilometre warm up followed by wine tasting and a wine and food pairing Revelation Lunch. 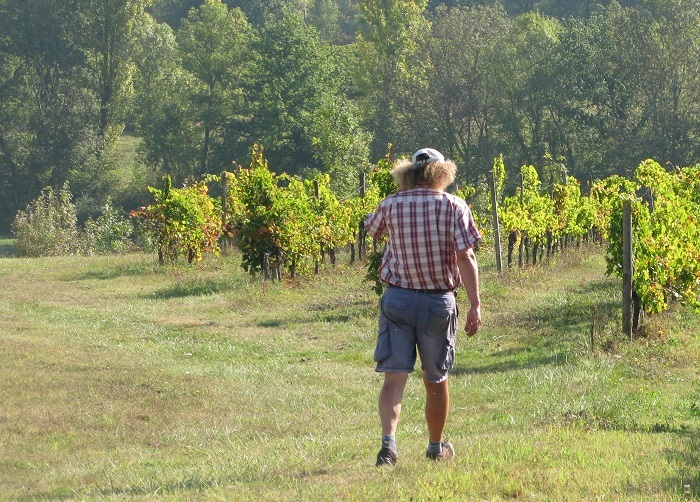 In the afternoon we walk over the stunning Saussignac ridge above the Dordogne Valley. In the evening you enjoy a well-deserved and delicious dinner at your guest house or in Saussignac village. Day 3: On the second leg of the our vineyard route our walk takes us through forest, glades, vineyards and past magnificent historic castles. At midday a gourmet restaurant awaits with cuisine based on local traditional products. 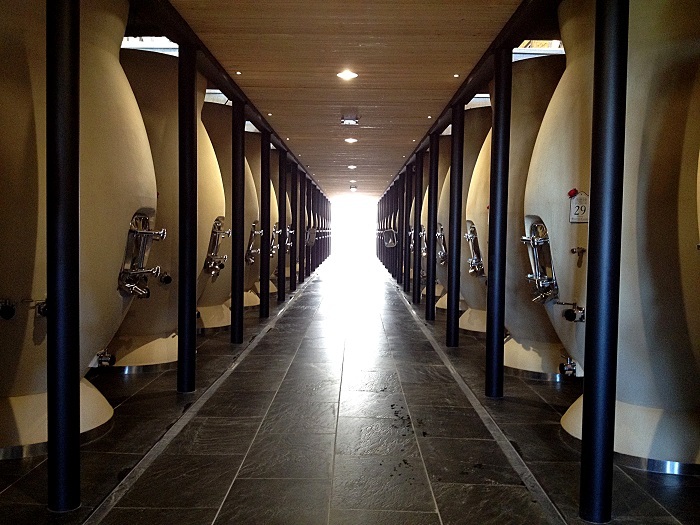 We make our way back to our base stopping at a wine estate recognised globally for its fine organic wines. 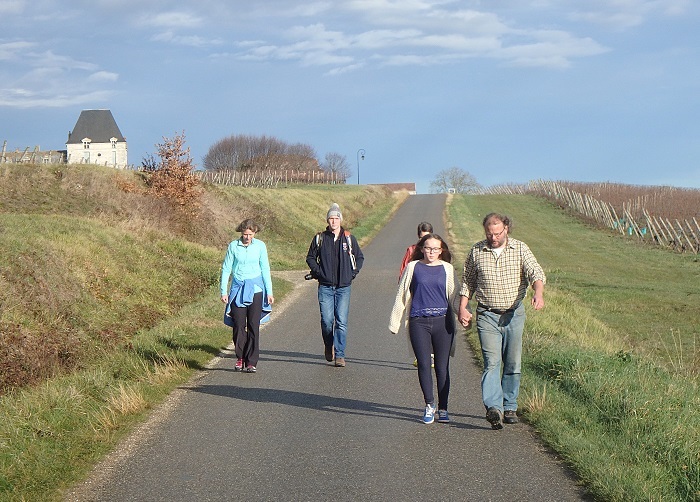 This day can be swapped out for a Monbazillac walking day with a Michelin starred restaurant for lunch for a 60 euro supplement. Day 4: After breakfast continue your travels perhaps enjoying a tour of St Émilion (a beautiful medieval village and home to many Bordeaux Grand Crus) 45 minutes drive from Saussignac. Minimum 2 people. Available all year round. 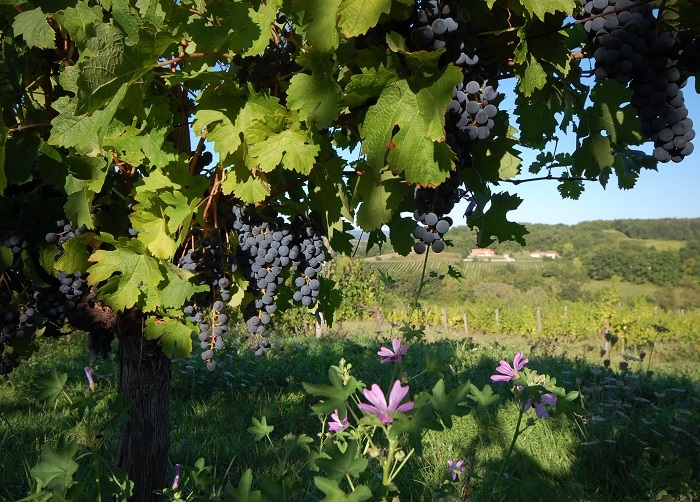 An exceptional experience walking and tasting the vineyards of St Emilion, Saussignac and Bordeaux. Day 2: After breakfast we take a tour of Chateau Feely’s vineyards with a two. kilometre warm up followed by wine tasting and a wine and food pairing Revelation Lunch. 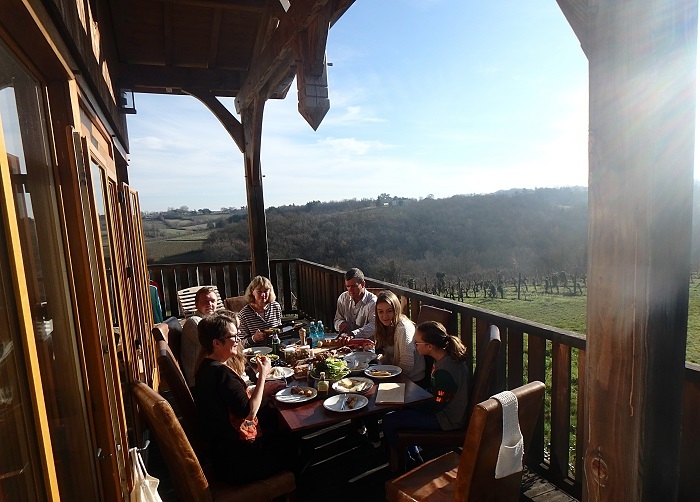 In the afternoon we walk over the Saussignac ridge above the Dordogne Valley to visit a second artisanal estate to visit the vineyard and taste their wines. In the evening you enjoy a well-deserved and delicious dinner at your guest house or in Saussignac village. Day 3: Self guide in Bergerac old town and take in a cookery class (must be prebooked) or just wander at your own pace. Day 5: We walk to an organic winemaker in Bordeaux which will also be our picnic lunch stop before a leisurely walk back to Chateau Feely. It is time to say goodbye or as we say in French ‘au revoir’ ‘until next time’. Transfer to Gardonne station for onward travel on Friday evening or Saturday morning (optional extra night Friday can be included if required). This tour is fully guided except for the market and cookery school day. Notice: We deliver the wine education, translation, organisation, wine-tasting accommodation and picnics/lunches ourselves. We are not a travel agent that can book your transport on your behalf. In our costing we will clearly outline what we provide and must be paid to us and what you need to pay to other providers. To protect your plans from unexpected travel problems and for your personal healt please ensure you have comprehensive travel and health insurance including full personal accident cover. When you confirm your booking with us it is tacit confirmation that you and your party have this insurance. 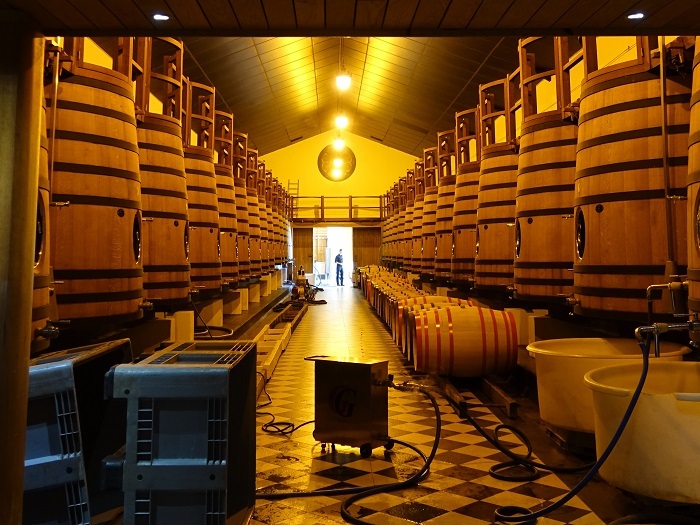 Visit the website of Chateau Feely where the wine school is located.